I’ve been using Fetch Rewards for a while now and it’s definitely one of my favorite cash back apps! And for a limited time (ending TUESDAY) you can get $3 just for downloading the app and entering your first receipt! And you can scan any receipt from any grocery or drug store when you sign up (as long as it’s less than 14 days old) – I’m sure you have one lying around! Be sure to put in NJ0MU (that’s a zero in the middle) when it asks for a referral code (BEFORE submitting your receipt!). You’ll get 3000 points for using that code – which is enough to go ahead and cash out for a $3 gift card! What’s so great about Fetch Rewards? Well, here’s the thing about Fetch Rewards. There’s no studying product labels to make sure you get the right size or flavor that’s eligible for the rebate. Fetch Rewards rewards you just for buying certain BRANDS. Any item made by one of the 157 brands (currently) on the Fetch Rewards app will get you points! 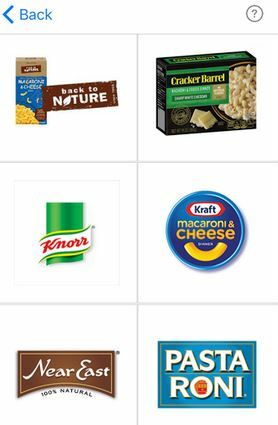 You can browse the brands to see what you can earn points on. Or just shop normally and scan your receipt when you’re done and let the app “fetch” your points for you! 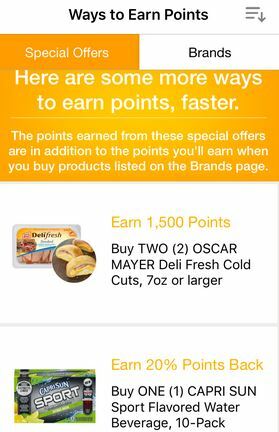 Plus, you can get bonus points for “Special Offers” too! Browse the special offers section for specific products that are offering bonus points. Don’t forget to put in NJ0MU (that’s a zero in the middle) when it asks for a referral code so you’ll start out with points! You can start redeeming points at just 3000 points for $3 gift cards to Target, Amazon, Panera Bread and CVS! 5000 points will get you a $5 gift card to all those places plus more options like Chili’s, Dunkin Donuts, Regal, Toys ‘R Us, Walmart, Whole Foods, iTunes and lots more! 10,000 points is a $10 giftcard, 25,000 is $25 and 50,000 is $50. More and more gift card options as the points categories go up too! I saw Build-a-Bear, Aeropostale, The Cheesecake Factory, Babies ‘R Us, Applebees, Bed Bath and Beyond, Bass Pro, Barnes and Nobles, Best Buy, Captain D’s, California Pizza Kitchen and lots lots more! I had a couple receipts lying around that qualified (you have 14 days to submit receipts!). They’re still processing but I can’t wait to report back on how many points I got! Stay tuned!